I was very excited to get some preliminary ideas for our forest garden hedgerow down on paper (i.e. the Master Plan). Also to start a list of possible things to plant. The next step to making it a reality was to go out and assess what is growing there already. We decided the oaks should stay (acorns), also the sweet gum (for the time being), but the black cherries needed to come down. The goats were right there to "help". This is because wilted black cherry leaves can be toxic to goats, so I wanted to replace them with something better for them, and good for us. The next step was to start fencing in the area, so I can start to plant. all but killed it and I'd like to save it for the wild rose hips. We decided to use cattle panels and t-posts. Cattle panels are a little more expensive rolls of fencing, but we wouldn't need to sink brace posts. Plus we can reshape if need be (a distinct possibility since this is an experiment). It curves around to the blueberry corral on the one side. hedgerow once a few sections of rails are removed. And on the other side too. The two panels above are offset, height-wise, because the fence must cross a ridge. Dan put the t-post in the center of the ridge. It worked out so there are no gaps under the fence. Here's a birds eye view of what I'm talking about. Yellow is what we're working on. Blue is existing. What we've been working on is the bottom part. The top part will be next. 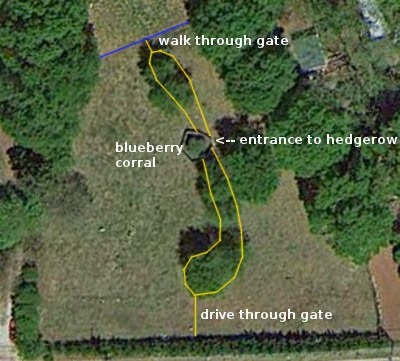 Dan will remove two sections of rails of the blueberry corral, giving access to both sections of the hedgerow. Also to be added will be two gates (these will require brace posts). We need a drive-through gate (bottom), and for convenience, will add a wheelbarrow width walk-through gate as well (top). The walk-through gate is pretty much a straight shot from the goat shed and hay storage to the hay feeder in the goat shelter. There is still quite a bit of work to do, but we're happy with our start. Making a start is normally the hardest part of a big project for me. Once I'm going I get it done but until I start it seems really tricky! 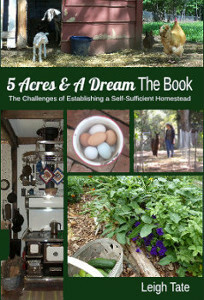 Looks like you know what you're doing and in a few years there will be loads of edible goodies for you and your goats! That T post thing with panels looks awesome. I have so much slope to my ground, I don't think I can get it to work. It looks like the right answer to making small pens to allow browse to come back. Do you know if goats can eat bamboo? It looks like a good plan! I can hardly wait to see how it goes. The words "forest garden" grabbed my attention this morning. Creating a permaculture style forest garden has become my passion. I am excited to watch your progress! Kev, well it only seems like we know what we're doing, LOL. Here's hoping all goes well. Barb, yes, goats can eat bamboo! It's an excellent source of food. I've contemplated planting it, but it's also very invasive and needs good barriers to keep it contained. I haven't figured that part out yet. Brittany, this is a pretty exciting move for us. Dan's been talking about it for years but it's finally becoming a reality. PioneerPreppy, good question, and something I've been thinking about. It's mostly grass growing in there, so, heavy mulch maybe? I find it helpful to always create a plan on paper, then modify as you start to work. Getting rid of those black cherry trees are beneficial since they're no go for your goats. I can't wait to see your final results. Cattle panels or feedlot panels come in handy when trying to fence a particular area. We're using them this year to fence in our garden. For the last three years we used wired fence on a roll, and it didn't hold up as good as we thought. Wow! That looks like both a lot of work and fun at the same time! I look forward to your future posts on this! I always learn a ton on these posts so I can't wait to learn more. Good luck! Those goats look mighty interested in the process. You have quite an undertaking going there! It'll be interesting to see how it develops. We have enough white stuff over frozen ground all we can really do is plan and wait for early spring. I can't wait to watch the progress on your hedgerow!! 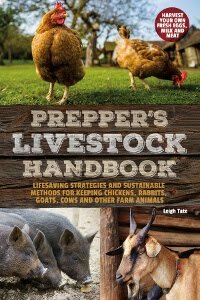 Your goats look worn out from all the helping they did - LOL I finally understand that. Sandy, I agree about getting it down on paper. Especially since Dan and I sometimes visualize different things! Like you, we don't think welded wire fencing holds up very well. Next time we need a roll of fencing we'll get either field fencing or goat fencing. Mark, making a start has meant a lot. Now I'm trying to get my first tree and shrub order together. Hopefully next weekend we can get a start on the top section. Tuesday, me too, LOL. And, oh my, but goats are curious creatures, which of course you know! Thank you so much sharing this with us. Please dont think it ever uninteresting. Those without land are living the dream vicariously. We all dream of a hedgerow, im sure. You (and Dan) will make it happen for all of us to enjoy. I admire your vision! I think this is really going to be wonderful! Lynda, I appreciate that. I can only hope more will be inspired to take whatever small steps they can. I know this is kinda off-subject, but looking at your pictures, it occurred to me how nice it must be for your goats to be so comfortable outside during these winter months. I know sometimes the high temps in summer aren't as comfortable for them, but they sure are getting their fresh air and sunshine now. And looking very healthy!